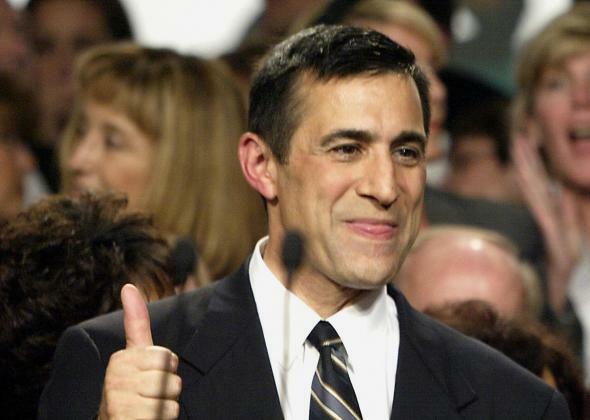 Republican Congressman Darrell Issa gives a thumbs up as he waits for the former Governor of California Arnold Schwarzenegger’s victory speech at a party in Los Angeles, in October 2003. Land of the free, home of the … rich Congress. Just as Congress is set to take on long-term unemployment benefits, the minimum wage, and food stamp legislation, they are also the richest they have ever been as a group. For the first time ever, most members of Congress are millionaires, according to a new report from the Center for Responsive Politics. At least 268 of the 534 current members of Congress had an average net worth of $1 million or more in 2012, which amounts to just over half. The congressional median net worth was $1,008,767. Democrats edged out Republicans just slightly, with a median net worth of $1.04 million to $1 million respectively. But the real contrast came between Senators and Representatives. The median net worth in the Senate was $2.7 million compared to $896,000 in the House. The richest subset was Republican Senators, whose median net worth was $2.9 million in 2012. Check out the full list here, along with a breakdown of how Congress members make their money. Correction: The original article misindentified which state Rep. Jared Polis is from. He represents Colorado, not Virginia. The text has been corrected.